The X-Factor, Made, and The Voice! The Art of MIX-TRUE BEL CANTO. Recovery, Health and Growth from Wheeler Clinic on Vimeo. ​Are you getting ready for a competition, a concert, or any kind of performance and need guidance on the song you will be performing? Neil will guide you through finding your voice, microphone technique, use of the stage, relationship between the lyrics , face/body language and more. With his classes you will build confidence and give the audience a great show that they will remember for years to come! Neil’s passion for the entertainment industry began at a young age. He attended a performing arts school in Venezuela, giving him the acting, singing and dancing chops you now see on television and stage today. Upon arriving in the United States in 1995 Neil began a 18- year career working his way up the hospitality ladder to become the Director of Catering for the popular multi-unit brew house and restaurant, Southport Brewing Company. Neil put his food and entertainment talents together, creating impressive events, innovative menus, and a flare for the theatrical. In 2006 Neil joined the Connecticut Gay Men's Chorus and continues to perform throughout the state. 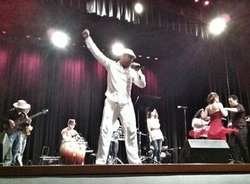 In 2012 Neil joins Sonido Libre, a 12 piece Salsa Band as lead singer. Neil develops an amazing show with this band which has been performing since then through the Tri-State Area. Neil has solidified himself as a Connecticut power talent in both the entertainment and culinary world. “The Sensational Singing Chef”, airing on Connecticut Style on WTNH Television in New Haven, CT since 2009, continues to be a highly rated show for the network, garnering numerous awards and a cult-like following. Neil just became a Food Network Champion on the show REWRAPPED! 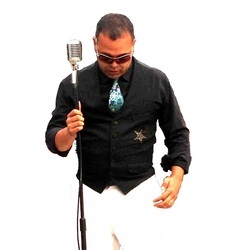 Neil has been trained and mentored by Master Vocal Billy DiCrosta to teach the NHAOPA singing method and is also an Accredited Mix Technique Teacher through International Voice Teachers of Mix. Learn the songs YOU want to learn!!! !